When Oona Clay was four years old, she asked for a piano. Since then, her passion for music has only grown. At the age of eight, Oona began taking formal lessons from Kevin Gunter as a student in the Piano Preparatory Department at Southern Methodist University. In addition to performing in many recitals in the Piano Prep Department, Oona also performed on the National Stage at the National Piano Teacher Institute in Chicago as a representative of the SMU Piano Preparatory Department. Oona chose to take her love of music and use it to help her community by organizing and performing in a benefit concert for her local animal shelter. 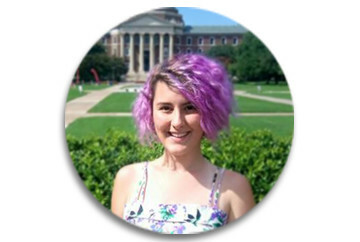 Oona currently studies at SMU with Dr. Catharine Lysinger in pursuit of a B.M. in Piano Performance. She plans on completing graduate studies and continuing to teach as a profession.